We are a leading Manufacturer & Exporter of Ayurveda Product such as Ayurvedic Products, Liver Capsule, Digestive Capsules, Hair Care Cosmetics, Triphala, Haridra Khand and many more items from India. Ayurveda Product Ayurveda Product. The remedy contains 6 exclusive herbs to Hair Care Cosmetics add volume to the hair. It stops the greying and also hair loss. Brungraj (Eclipta Alba) 220 mg, Bhumi Amla (Phylanthus Niruri) 220 mg, Amlaki Rasayan (Emblica Officinalis) 53.35 mg, Trikatu (Ginger, Marich, Pepper) 3.35 mg, Praval Pishti (Red Coral) 3.5 mg. When the patient complains of dandruff or mental stress this capsule is useful. Benefits: It makes the hair soft, rich and long. This remedyshould not be consumed on an empty stomach. Pregnant women are advised to consult their doctor before usage. The remedy is for patients above the age of 14 years. Keep it away from young children. Garlic is a well-known herb that is used universally all over the world. 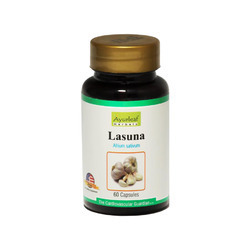 Lasuna has its origins in Ayurveda texts of India and medically it is called Allium Sativum. It is a very potent hypolipidemic agent and a 100% corrective measure for controlling cholesterol. Description: When the patient complains ofHyperlipidemia, Ischemic Conditions like IHD & other vascular diseases, Peripheral vascular disease or Suspected atherosclerosis this remedy is useful. Benefits: As an agent of cardiovascular health it has multiple mechanisms to make the heart beat better. It lowers the plasma lipid levels, and is a good anti coagulant with anti-oxidant properties. It is also believed to aid impaired endothelial functions. Dosage: 2 Capsules once a day after meals. There are no known side effects however ask a doctor before taking this remedy. Patients who have to undergo surgery should stop using it before two weeks. It cures anemia, hepatomegaly and combats Jaundice, indigestion, and loss of appetite, anorexia and various abdominal disorders. 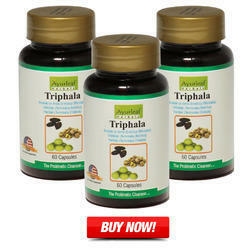 It means the benefits Triphala of three fruits or myrobalans- namely amala, baheda and harad. Clinically they are called Amalaki (EmbicaOfficinais), Haritaki (TerminaliaChebula), and Vibhitaki (Terminalia). It is a rejuvenator with triple action. It is not addictive and can be used effectively by chronic patients also who have piles. It restores the health parameters. Turmeric is an everyday spice used in Haridra Khand cooking in all Indian homes. It is called Haldi and is a fantastic antiseptic. Its medical name is Curcuma longa. It is a perennial herb and has an underground stem. It has beautiful green leaves that are large having a long petiole. In Ayurveda it is used to mitigate the Khapa and pita doshas. Swallow two capsules with warm water/milk or honey once a day after the meals. There are no known side effects of this remedy. But it should be taken only under supervision of Ayurveda doctor. It is the Malabar nut tree and also called Adhatoda vasica. In Sanskrit it is called Shwetavasa or Vasa. It is evergreen and has leaves, which have alkaline compounds. It also bears fruit. It is a medicinal plant that gives essential oil. In Ayurveda the leaves, flowers, bark and the stem are utilized extensively. Description This remedy contains natural bromhexine. It is a agent for respiratory ailments. It can make the lungs normal and is widely used also for TB patients. The roots and the bark can be used to remove the parasites from the intestines. The skin diseases also get cured with the poultice made form Vasaka leaves. It comes in powder and capsule form. Benefits Patients who have TB or other respiratory diseases like bronchitis and asthma can be cured with this remedy. It is effective for most pulmonary infections and smoker's cough. Its extended advantages are long healthy life, mental alertness and a mood stabilizer. 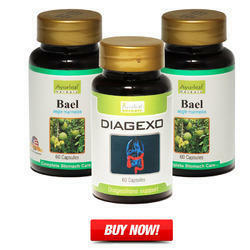 Dosage swallow two capsules with watertwicea day after the meals. It is often described as the booster for the brain and grows in the foothills of the Himalayas. Medically it is called Bacopa monnieri. In English it is referred as the herb of grace. Other names include Nirbrahmi, Indian Penny wort, Jalanevari and water hyssop. Description: It is a small herb almost like a creeper with many branches. It can be recognized by oval shaped leaves that appear as pairs. White and purple small petal flowers on soft stems with a large fruit that grows on top. It comes in tow species- Bacopa monnieri and Herpestis monniera. It has been in use for more than 3000 years to increase memory and is connected to Lord Brahma. 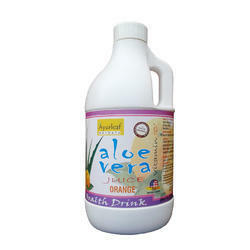 Benefits: It is a strong and effective remedy for chronic cough, asthma. It also improves stiff joint, arthritis, backaches and rheumatism. It also enables blood circulation, reduces fever and cures patients from depression. Physical fatigue disappears when it is taken. A host of skin ailments can be reduced like eczema, abscess, psoriasis, ulceration. Nails and bones grow healthy with the intake of this herb. It improves the nervous system and the brain cells. Dosage: swallow two capsules with water twice a day before the meals. If used for short term there are no side effects. But for long-term usage a medical advice is a must. Some patients may complain of dry mouth, or nausea and need to be reported to the doctor. Billions of years ago, when all life forms were non existant, life on earth was supported by algae. 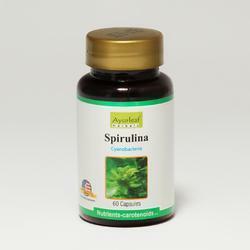 Spirulina, a type of blue green algae is said to be amongst the first lifeforms to help produce oxygen on earth which helped other lifeforms survive. This Nutrient dense superfood is considered to be one of Nature’s wonders and is a powerhouse of goodness for the human body. From boosting the immune system to fighting the effect of free radicals, Spirulina has a lot of uses. Title: Ayurvedic supplement for EU. Tagline: Ayurvedic a helpful remedy for many diseases. 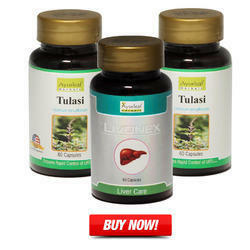 Summary: The Ayurvedic Supplements are the best remedies to prevent one from getting diseases. The EU had being utilizing the products from a long time. 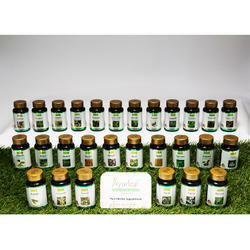 The Ayurvedic herbs are so powerful that it has gone to the distant parts of the world. The major world nations are having its advantages too. These products do not have any of the harmful side effects and that is why they are easy to consume. Most of the herbs can easily be consumed in daily habits. From headaches to the foot problems, these herbs are capable of curing every kind of the diseases. Most of these herbs can cure the diabetic problems and help to reduce cancer problems as well. It is one of the reasons that the whole world is using it. It is not necessary that the Ayurvedic plants or trees can be grown anywhere. The powder or the medicinal products are transported to these areas. Only the best of the herbs are used to prepare the medicines like capsules and creams. 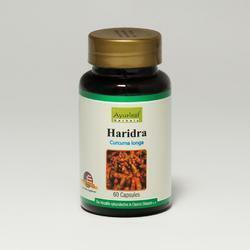 The classifications of the Ayurvedic supplements are classified into three terms. For the daily use of the Ayurvedic products, it is better to consume it in the daily diet. There are oils or taste makers or other products. Not only they make the food tasty but they also prevent the diseases from inside. The basic term of these products is to strengthen the immunity system of the person the more powerful immunity system of a person it prevents them from getting the diseases. Many of the products help in cleaning the blood of the person and promote the RBC to carry oxygen to every part of the body. When consumed daily the person get a boost in there body and always feel fresh. The most common symptoms like fever and cough that occasionally show the effects. The medicinal product works efficiently well in lowering them. The joint problems in the old ages which cause a devastating pain it gives a big relief to them. The Ayurvedic medicinal supplements are present in the form of powder, cream and tablets. The rashes and the wounds can easily be cured as most of the medicines are anti bacterial. It also prevents a person from getting germs. Many of the people think that the medicine is not working, but the fact is medicine works from the roots of the disease. It can be said that the medicines had to be used for a longer time. The Ayurvedic Cosmetic products are also known as the anti ageing products. It blooms the skin, removes the wrinkles. Even when an old person uses it they will look younger. The herbal Cosmetics do not harm the skins as it can be used by any person of different age. 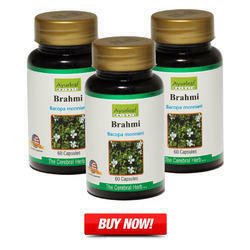 Since there are no complaints seen this far, the Ayurvedic Supplements can be used in any particular manner. The product is available in the creams, powders and oils. They are also a very good remedy for the falling hair solutions. The use of Ayurvedic Supplements is taking over the world. Many of the people of EU are using it as it gives a boost to their body and prevents them from many of the diseases. As there are no side effects it is reliable to use by all age groups. Strengthening its endeavour to protect ecology, the company has now forayed into herbal plants for quality medicines and food supplements. Our in-house Quality Control lab is to ensure the human compatible quality medicines all the time. It's worth trying for anyone who suffers with digestion problems like IBS. Its healing and soothing properties can help with the painful symptoms. 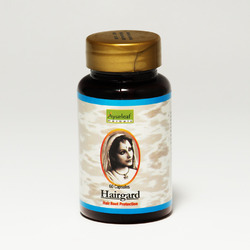 Prevents hair fall and stimulates an Unbelievable growth of hair. Stop Premature Graying of hair. Works as a medicine for Headache. Make your hair natural black. Add nourished shine to your hair. Protecting from all damages and keeping your hair long, thick and soft. 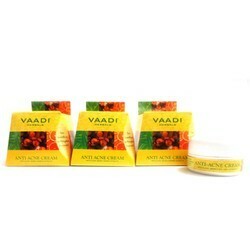 An innovative formulation, this cream tackles the acne problem at its very root. The anti-bacterial action of Clove Oil, along with Neem & Orange Extracts, kills the acne-causing bacteria. Their astringency further controls excess oil as well as unclogs and shrinks skin pores to prevent future eruptions too. Its regular use leaves your face healthy & acne-free! Clove & Neem Oil : Deeply cleanses the skin killing all acne causing bacteria & fungi. Tea Tree Oil : Removes pimples without leaving scars. Stops itching. Orange Peel : Controls excessive oil secretion & clears blemishes, pigmentation marks & dark patches. Nourishes skin. 30 ml to 50 ml Twice daily with a glass of water or any juice.